FRANKLIN, Mass. – There are a lot of new faces on the Franklin bench this season. The Panthers bring back only one starter from last year’s team, which reached the Div. 1 Central final, and it is expected that there will be an adjustment period for new players in new roles. The pieces, new and old, fit perfectly on Friday night in the season opener against Holy Name. 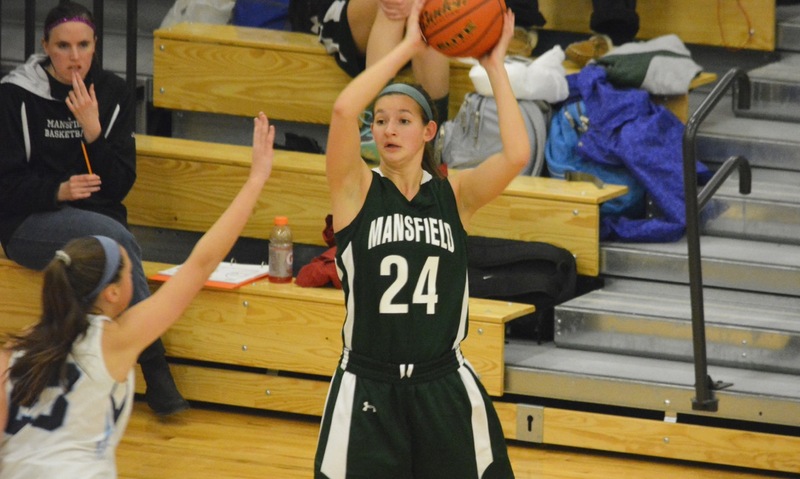 Utilizing a tenacious full court press, Franklin jumped out to a 26-0 lead and never looked back. The Panthers won the opener 70-41 in a rematch of the last two district semifinals, which the teams split. 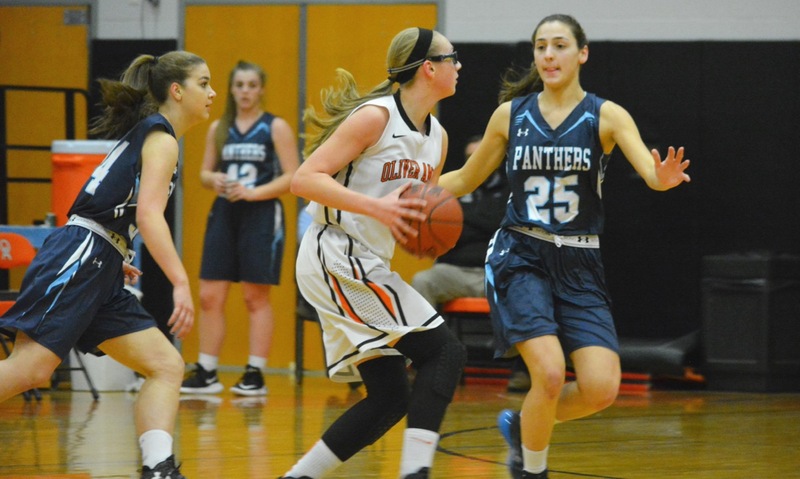 Lauren Rudolph led the way for Franklin with 15 points and the senior added six rebounds, a couple of assists, and five steals in an all-round performance that demonstrated why Leighton believes she will be a player that the Panthers can lean on this year. In the opening quarter, Franklin forced nine turnovers and held a 12-2 edge on the boards (led by Erin Skidmore with five of her team-high nine rebounds). It was exactly the type of effort that Leighton was hoping to see from his many inexperienced players and an effort that can make up for any learning curve that comes from playing at the varsity level. Rudolph gave the Panthers the spark from the start with offensive rebound put back and then a layup in transition off a steal. Off the bench, junior Carli Koffinke (12 points) stepped in and buried a pair of threes (one off a Rudolph drive and dish) that extended the Franklin lead to 18-0 by the end of the quarter. “I thought that was a big run to erase any hopes they had of making a quick little run,” said Leighton. 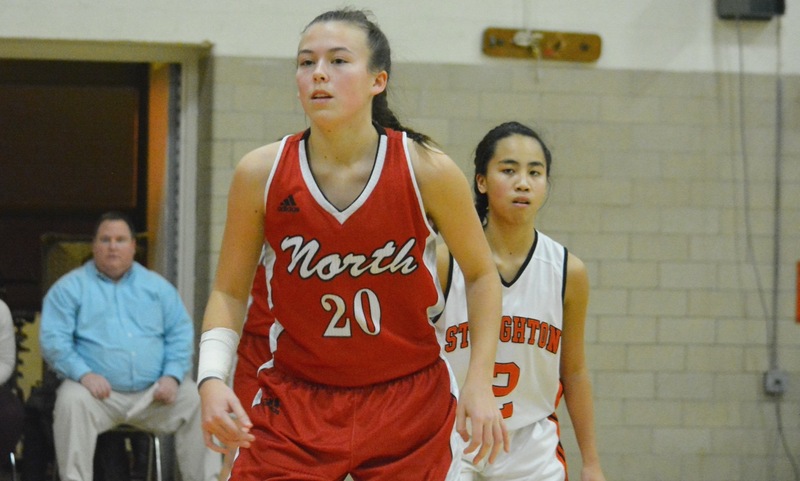 The run continued at the start of the second quarter with Margaux Welsh (eight points), Grace Sameski, Aubrie Kutil, and Olivia Adiletto (seven points) extended the lead to 26-0. Logan Lornell hit a pair of three-pointers to get Holy Name on the board, but Rudolph answered with a triple of her own, as did Madison Kuzio and it was 41-18 at the break. In the second half, Leighton continued to mix and match with his lineup to get every player time on the court. Holy Cross-commit Monica Viapiano (10 points, all in the second half) tried to get going and scored five points, as Holy Name won the third quarter 15-14, but it was still a 22-point Franklin lead heading to the fourth. In the final quarter, the Panthers continued to crash the boards and take the ball to the basket. Rudolph and Koffinke each had four points in the quarter, while Skidmore, Kutil, and Welsh also added buckets. It was the perfect start for the Panthers, who are looking to reload rather than rebuild this year, although Leighton knows that there will be tougher challenges ahead, including a possible rematch with the Naps in the tournament. 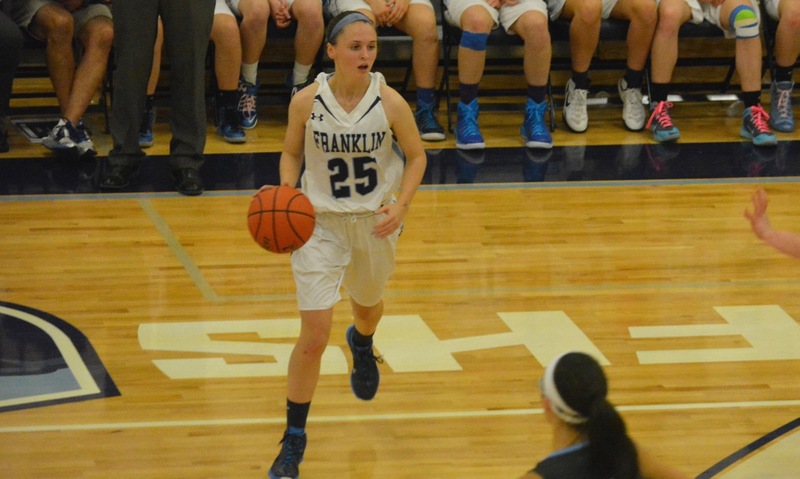 Franklin will try to make it 2-0 when it hosts Canton on Tuesday night.